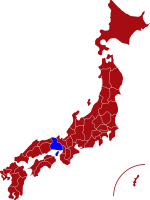 Located to the west of Osaka, Hyogo Prefecture incorporates the lively port city of Kobe which makes up part of the Kansai Metropolis; a region referred to by many locals as the beating pulse of Japan. Beyond the bustling neon lights and urban sprawl of Kobe City, anyone traveling west will soon discover a land filled with ancient temples and castles revealing the enduring cultural legacy that this area has played throughout Japanese history. Bordering Osaka to the east and Okayama and Tottori Prefectures to the west, Hyogo has the distinction of facing two coastlines. In the north is the Sea of Japan whilst towards the south is the Kii Channel. In stark contrast to the densely populated south, this prefecture’s central highlands and northern coastline are scattered with picturesque pastoral villages providing the ideal opportunity for exploring Japan’s rural heart. For most visitors the bustling city of Kobe provides an excellent starting point where you can enjoy some excellent views of Osaka bay whilst eating some prime Kobe Beef in one of the cities many beautiful steakhouses. 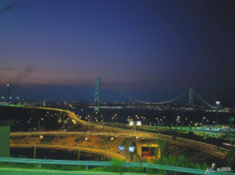 Visitors can also enjoy seeing the impressive Akashi Kaikyo Suspension Bridge out over the bay which connects the city to Awaji Island. A short train ride west lays the spectacular Himeji Castle. Originally built in the 14th century, Himeji is one of Japan’s top three castles and is considered by many to be the best, achieving UNESCO recognition in 1993. Towards northern Hyogo, within sight of the Sea of Japan lays the peaceful town of Kinosaki. Famous for its willow lined river, Kinosaki boasts many hot springs and traditional Japanese Style Inns, perfect for enjoying the simpler pleasures in life. For anyone willing to venture beyond the bright lights of Kobe, you will soon realize why many people refer to Hyogo as being the heart of Japan. For more information about Hyogo prefecture, see their official tourism website. Rail - From Osaka, Kobe can be reached in under an hour whilst the journey from Tokyo takes about 2.5 hours on the Tokaido Shinkansen. 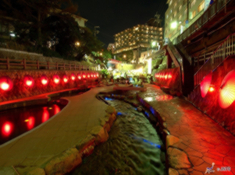 Arima Onsen is one of the oldest and most popular hot spring resorts in Japan dating back over 1300 years. 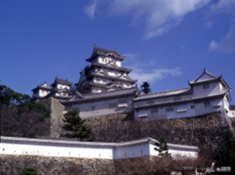 Himeji Castle was offically designated a UNESCO World Heritage Site in 1993 and is one of Japan's national treasures. Mt. 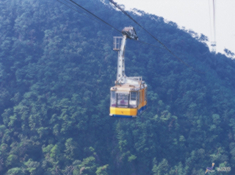 Rokko - The view from the summit is considered as one of the three best nightfall views in Japan. Akashi Bridge is the world's longest suspension bridge spanning a total length of nearly 4,000 metres.